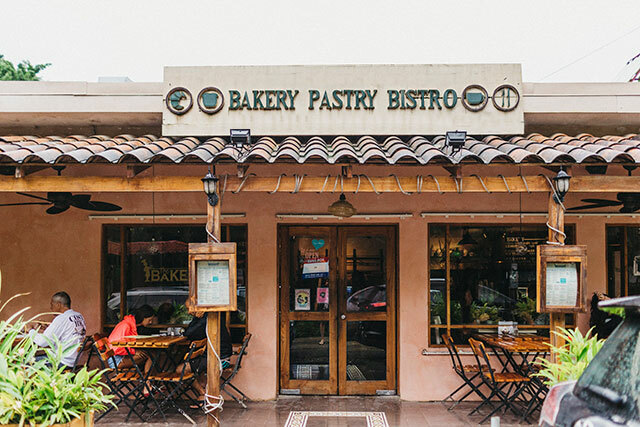 Standing outside of The Bakery, in Santa Teresa on Costa Rica’s Pacific coast, you could be looking at a quaint little café in Portland or Seattle. 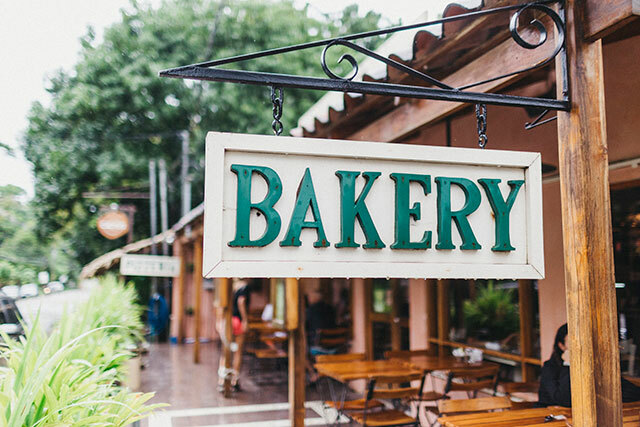 Surrounded by lush green plants, its simple wooden sign weathered by time and the elements, this small bakery has an inviting feel even before you enter. Bikes parked casually in front share the space with locals and tourists enjoying the outdoor tables. 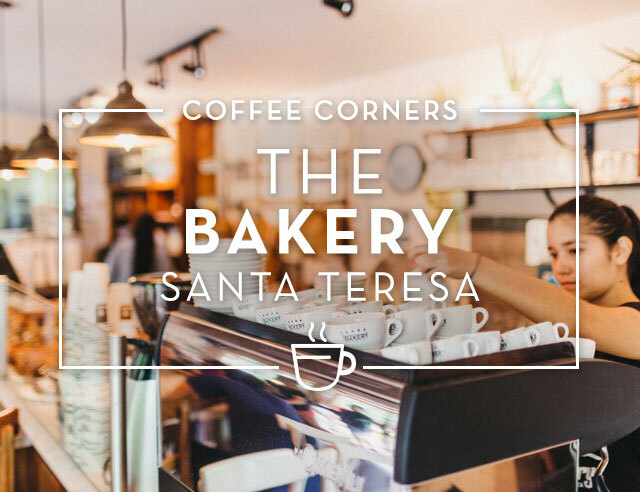 A perfect example of the low-key vibe in Santa Teresa, The Bakery is a charming must-do for any visitor to this beach town on the Nicoya Pensinsula. Walking in, you’re hit with the dual refreshment of air conditioning (perfect after a day on the beach) and the smell of fresh bread and pastries. And oh, those pastries—you may have to try a few, because it’s going to be hard to choose just one! 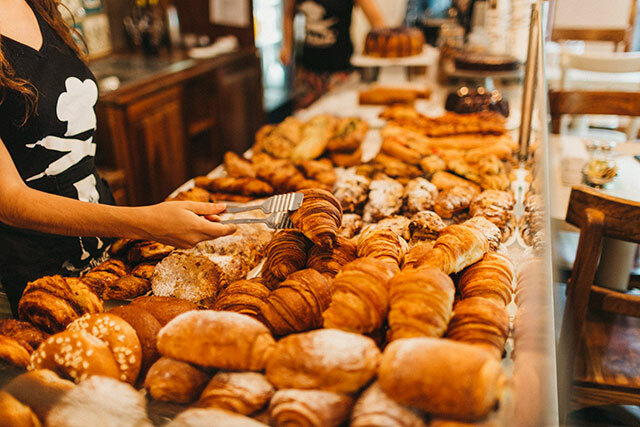 The selection varies daily, but some regulars include croissants, banana bread, pain chocolat, bagels, cheesecake, éclairs, and breads such as whole wheat, focaccia, baguette, and ciabatta. If you feel like having more of a meal, that’s also not a problem. Those great breads make the perfect base for one of The Bakery’s many sandwiches. Go for a classic Grilled Chicken or Caprese, or try something more elaborate, such as the Tuna Tataki or triple-decker Capra Trammezini. Gluten-free folks, there is even the choice of superfood bread for you! Other choices include salads, pastas, and breakfast options like avocado toast, pancakes, and omelettes. And what would an artisan bakery be without gourmet coffee? The Bakery features Café Britt in drip coffee and traditional espresso drinks, as well as iced versions. 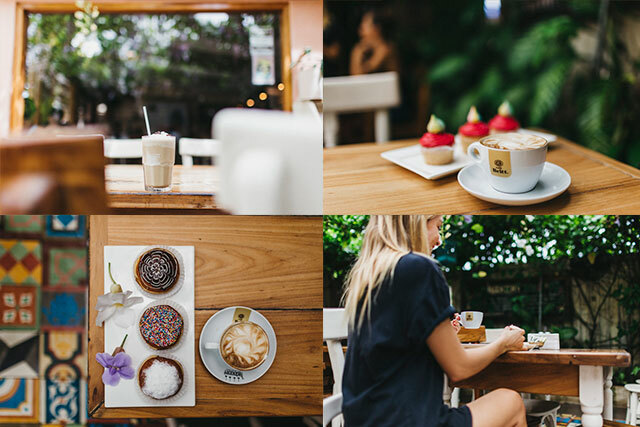 Whether it’s a cappuccino in the cool morning air or a refreshing iced coffee after a day at the beach, you will find just the selection and atmosphere that you are looking for. Enjoy them on the patio surrounded by flowers, people-watching out front, or to-go as you head back towards the ocean. 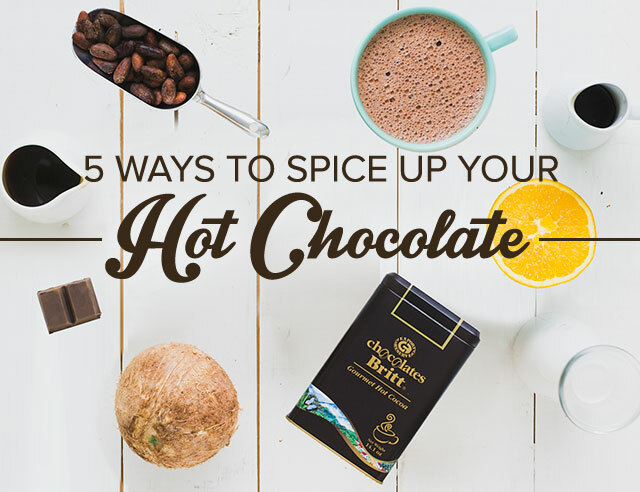 No matter where you choose, it will be a delicious experience.